I think the first time I tried a crab omlette was at Neil Perry’s Rock Pool in Sydney. Who am I kidding, it was amazing. I try to reenact the moment at home, but it’s not quite the same without the ambient lighting and an attentive waiter. So, I make do with dishing up my own dinner, drinking a beer straight from the bottle and eating in front of the telly. I like both of those scenarios very much. 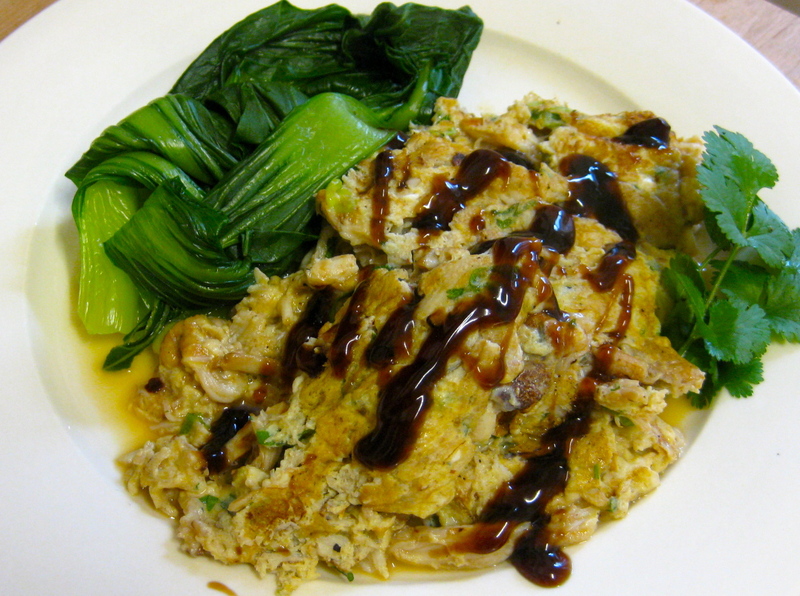 OK, so I’ll stop rambling and offer you the crab omlette recipe I use. It might not look pretty, but believe me it tastes GREAT! In another bigger bowl put everything else ( except oil, of course) season with salt and pepper and mix gently. Put some peanut oil in a HOT wok and fry up the small bowl of ingredient until fragrant. Now tip that stuff into the egg mix bowl and mix. Put a generous amount of oil into a smoking hot wok. Push cooked bits to the centre, much like you would make scrambled eggs. Serve up when JUST cooked and still a little runny. 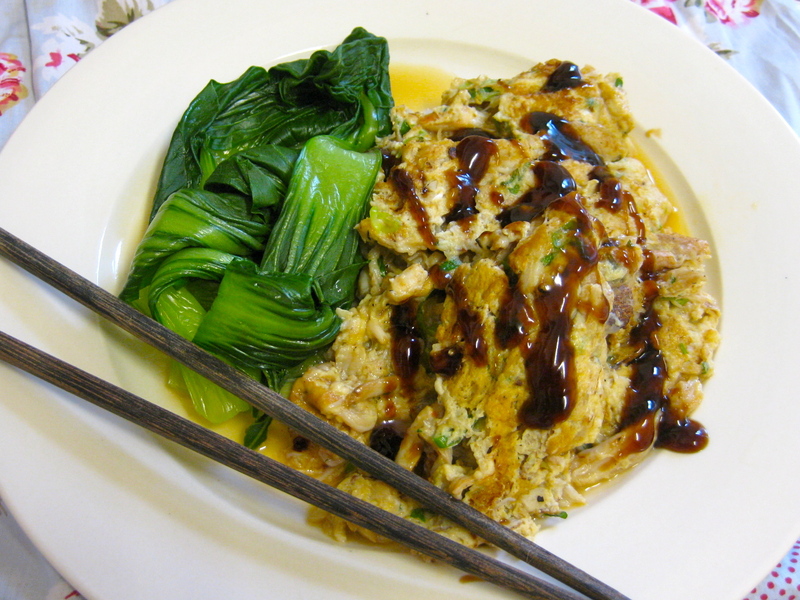 Serve with steamed greens and drizzled with a little oyster sauce. OK to use jar ginger and garlic…but fresh is always better. OK to use fresh chilli, and use as much as your taste dictates. I use chilli in a jar from the Asian grocer. If you can make your omlette look anything better than an eggy slop then good on you! And tell me what your secret is!